The traditional image of the manufacturing sector, with its billowing smokestacks and long assembly lines, is long gone. Today’s manufacturers are at the forefront of innovation, leveraging automation and advanced technology for engineering, design, supply chain logistics, plant operations, workflow management, and customer management. 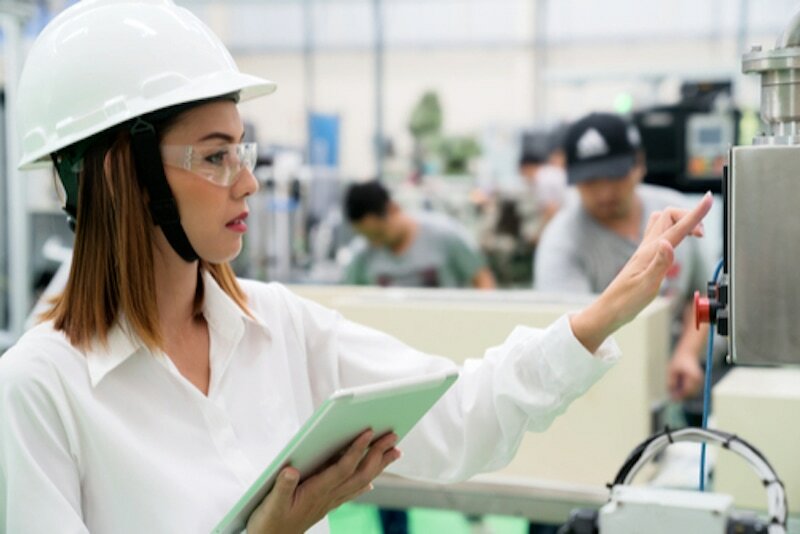 This is the “smart manufacturing” transformation and it impacts every part of a manufacturer’s business — from the actual manufacturing itself to warehousing, inventory, quality, maintenance, environmental impacts, and health and safety concerns. Connected: There is electronic connectivity between departments, suppliers, and customers. Optimized: Processes are highly automated with minimal human involvement. Transparent: There is visible data capture for analyzing customer orders, production schedules, and other metrics. Proactive: There is a predictive capacity for ordering inventory and materials. Agile: There is a flexible approach to production, testing, and accuracy. This transformation is a key part of the Fourth Industrial Revolution (4IR). A quick recap: The first industrial revolution involved the emergence of mechanization from water and steam power. The second was based on mass production assembly lines driven by electricity. The third was computer- and automation-driven. The 4IR, however, is using artificial intelligence (AI) to automate the production process, provide full visibility into the value chain, and offer greater alignment with customer demand. Smart manufacturing starts with automation: turning manual functions into automated tasks. Automation has been around for a while as manufacturers worked hard to control costs, drive efficiencies and ensure accuracies. Take a tour of any modern manufacturing plant and you’ll undoubtedly see robots doing many of the tasks where assembly line workers once stood. AI takes automation to the next level by connecting operations and integrating data from across the entire value chain. It uses a constant stream of data from system-wide physical, operational and human assets to learn and adapt to new demands. AI could make it possible for manufacturing machines to understand far more complex processes than those they currently execute. At the Siemens electronics manufacturing plant in Amberg, Germany, computers autonomously handle as much as 75 percent of the value chain. The parts and machines communicate through a product code which specifies the production requirements. Meanwhile, retail giant Amazon paid $775 million in 2012 to acquire a leading robotics company. The company is now building computer-driven machine-learning systems to drive efficiencies in its distribution centers. The growth potential in this area is significant. McKinsey research found that manufacturing is second only to the food services industry for its automation potential. Allied Market Research reports that the global market for industrial robots will reach $41 billion by 2020. Smart manufacturing significantly improves a company’s visibility into its process, network and value chain. It creates an environment where all available information — from the plant floor through the full supply chain — is captured in real time and made actionable through detailed insights. In a unique example of the Internet of Things (IoT), manufacturers can give each of their physical assets a digital identity. This enables them to know the exact location and condition of assets in real time throughout the production process. A 2015 report published in Industry Week said: “Batch-level visibility is being replaced by unit-level visibility.” The IoT takes management vision beyond high-level production metrics. Instead, C-suite executives and plant managers can now drill down to the individual units to assess accuracy, precision, and customization. This broader and deeper visibility, along with specific connections from the entire value chain, provides a comprehensive dataset for analyzing performance. It’s the next step in the big data revolution that is affecting every industry. It is predicted that by 2020, there will be 50 times more digital content than what exists today. By combining the value chain data with data from other sources — such as databases, social media, websites, digital communications, accounting software, and CRM software — manufacturing companies can use more sophisticated analytics to drive their competitive strategies. The smart manufacturing transformation uses advanced technology to meet objectives that stem from a customer-centered model. Companies must respond to increasing customer demand for speed, precision, and a positive customer experience. The digitized manufacturing environment closely aligns with the customer desire for fast, responsive, personalized service. A great customer relationship management (CRM) solution should be part of every manufacturer’s digital toolkit. 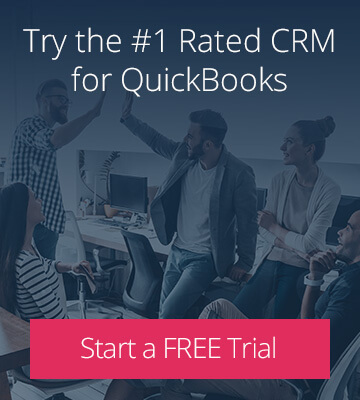 A CRM acts as a centralized resource for customer data, allowing your team to provide excellent service to every customer. Meanwhile, the best manufacturing CRMs will also offer the ability to automate key tasks and integrate with key tools. This creates a streamlined work experience for your entire team, from the C-suite to the plant floor. With the right tools on hand, manufacturing businesses will be ready to embrace the smart transformation of the 21st century. 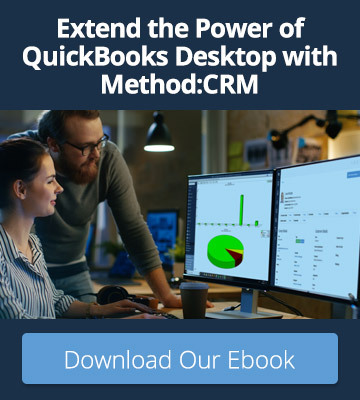 Method:CRM integrates seamlessly with QuickBooks, putting customer and sales data at your fingertips.